The metal concentrates market is a $50 billion global business. By digitizing transactions and shipments, the consortium aims to reduce losses and inefficiencies of paper tracking. Open Mineral is a cloud-based exchange that “makes it easy to competitively buy and sell base metal concentrates and ensure efficient trade execution,” according to its website. The platform was launched in early July by a group of ex-traders from Glencore, a Swiss commodity trading firm. The metals industry needs to track large quantities of shipments from the mine to end users such as manufacturers. In theory, that can be done with decentralized blockchain databases, which can register tamper-proof records. Like with most supply chains, tracking shipments can be a paper-intensive endeavor. The goal of Minerac is to use a blockchain platform to record transactions in a distributed database so that all parties can see the information simultaneously. Shipments will also be given a unique identifier code. To some degree, the integration of distributed ledgers in the mining and metals industries is just a step in the natural progression of digital business, similar to that of any other step toward decentralization. “We see digitalisation going on all around the world – take taxis with the Uber, take Amazon or eBay — stock trading is now on online platforms – all of these things become more efficient with digitalisation,” CEO Eykher told Metal Bulletin. Open Minerals’ trading platform, one of the key members of the consortium, is aspiring to become the eBay of metals trading. It would “disrupt the decades-old model” for metal concentrates markets, which have been dominated by large global trading houses with often-opaque pricing methods. What could make its blockchain platform useful is that it will offer pricing transparency for metals. Producers and end users would have access to the same information on shipments. Ultimately, smelters and miners could enhance their returns by dealing directly in the metals market because they wouldn’t have to deal with middlemen. Using an online exchange, miners and smelters would post their tenders on Open Minerals and then receive offers from counterparties and close deals. They’d pay a fee to the platform for its use. Performing online transactions is much more efficient now than it was even a decade ago. A process that used to take months now can be done in weeks. Time was wasted in moving paper documents back and forth between suppliers, shippers and end users. It was even more complicated in this space because ore has to be shipped from mines to smelters, refiners and manufacturers. 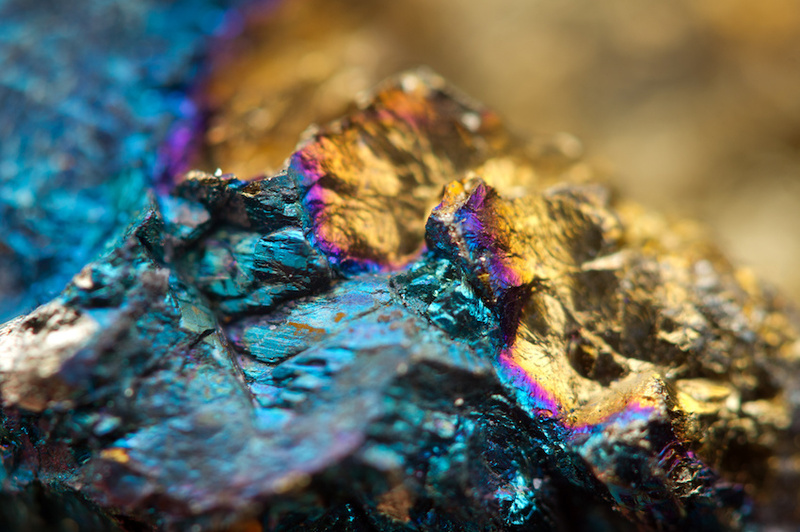 Identification of minerals can now be facilitated by blockchains and physical identification. “Sealed bags of minerals would be stamped with tamper-proof identification that will allow them to be traced to help ensure that they are coming from compliant and conflict-free regions,” the Open Mineral statement said. Despite its apparent economic benefits, Open Mineral faces an uphill battle. Metals mining is a conservative industry and one that is slow to change. And trading giants will fight to retain their market share and profits. The platform will initially focus on concentrates for zinc, copper, lead, gold and silver. It currently has 100 registered members and is planning to expand.